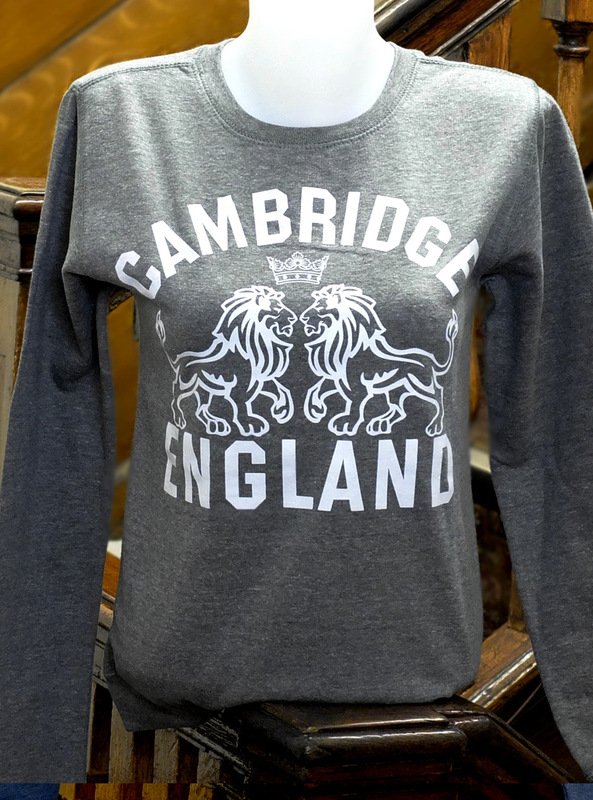 Ladies sweatshirt printed with Cambridge England and the two lions. Limited sizes now available. Clearance.